Social Security is with you from day one! For most people, Social Security starts at birth when you get your first Social Security card. We are the authority on the most popular baby names from the prior year based on requests for Social Security numbers for newborns. Each year when we reveal the top 10 names for boys and girls, we can see how America’s trends and culture have diversified and our choices have broadened. So, what were the most popular names of 2016? Coming in at number 10 are Harper and Ethan. At number nine, Emily and Elijah, with Elijah cracking the top 10 for the first time! You can read the rest of the top 10 on our baby names page! No matter the inspiration for your child’s name, you can rest easy knowing we’re with you and your child starting from when you choose their special name. Most parents apply for their child’s Social Security number at birth, usually through the hospital. Your children need their number throughout many important stages in their life, beginning when you claim them on your tax return. And, when the time comes for their first job, their number is already in place. You can also visit our baby names page to see how popular your name or your child’s name was over the past 100 years. Share it with friends and family members who may be expecting a child or grandchild. Maybe they’ll find a name on our list that they love, thanks to you! Social Security is with you throughout life’s journey. Get to know us and the resources we offer to families with children at socialsecurity.gov! This entry was posted in Online Services, Special Events and tagged 2016 baby names, baby, baby names, baby names 2016 by Jim Borland, Acting Deputy Commissioner for Communications. Bookmark the permalink. My Grandma Emma was born in 1904. “Emma” always seemed like an old lady’s name to me, but it’s the most popular now. Thank you Nabil for taking the time and communicating with us through our blog! We are glad you like it and appreciate your comments and feedback. Am very satisfied to participate with US at this baby name quizz ,then this quizz help me to choice a new name when I still use to get a new ssa and ssn .Thank to our help and support, we are together. This blog is a great service that I truly enjoy reading. It provides a wealth of valuable information about the SSA in a way the average person can understand, on a regular and timely basis. In addition to the many useful tips on how to best use the SSA site, and infoming us about all the available information it contains, there’s a wealth of expert advice and suggestions on finance, budgeting, looking ahead to the future, and even information about staying safe online and in day-to-day life for vulnerable populations who are most targeted by scammers of every stripe. And every so often we’re treated to an enjoyable article like this, with interesting factual information, as well. I greatly appreciate the SSA and all the agency does for all Americans. I particularly applaud the SSA’s incredible efficiency; the SSA is the perfect example of how a government agency serves the people. The SSA has run smoothly for over 80 years, providing an invaluable benefit to millions of Americans, with administrative costs of less than 4%, none of which has ever come out of the federal government coffers; SSA is a self-funded program. It has cintinued to do so in the face of relentless opposition – including repeated, drastic budget cuts; repeated, highly dramatized false claims of “waste, fraud, and abuse” – all of which have been thoroughly disproved time and time again – and relentless attempts to privatize the system in order to turn yet another government program created for the benefit of the PEOPLE into yet another profit stream for the corporate interests and the wealthy few. Social Security is a program FOR Americans; it belongs to ALL Americans. SSA was created for the sole purpose of ensuring a minimum secure future for average Americans us in our later years – NOT as yet another profit-generating scheme for the few at the top and massive corporate interests. My hat’s off to the hard-working and dedicated staff of the SSA, the creators of the program, and those who continue the struggle to keep its promise to the average American citizen. Thank you. Thanks for your feedback, Marc! We value your opinion of us and look forward to many more years of serving you in the future. You couldn’t have said it any better! 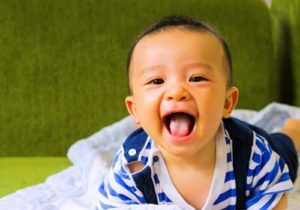 Why are they called “baby names”? Do they change their names when they are older? If not, doesn’t that mean that there are adults today with baby names?